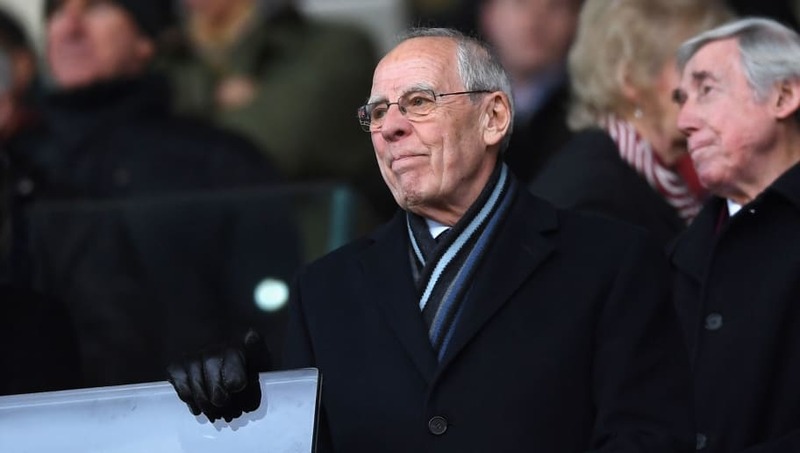 ​Stoke City chairman Peter Coates has expressed regret over the manner in which he sacked former manager Alan Ball in 1991. Speaking to the Stoke Sentinel, the chairman claimed he regretted the manner in which he sacked Ball immediately after a 4-0 thrashing to Wigan, saying: "Usually I never make a decision after a match... I don't think I'd do that again - you can get very worked up watching football and it's better to take a bit of time to compose yourself before you make a decision like that." Ball was the youngest member of the famous 1966 World Cup winning side, and his energetic display helped the Three Lions to lift the trophy in a 4-2 win over West Germany in the final. Ball went on to make 72 appearances for his country, and was a Football League First Division champion with ​Everton in the 1969/70 season. Former ​Potters man Carl Beeston claimed he enjoyed playing under Ball, remarking: "Bally was a brilliant bloke. Coaching was brilliant, everything was top drawer. The problem was that we weren't good enough for him really. We couldn't do half the things he wanted us to do in training. "He was a legend as a football, a legend as a person - I loved him to death. He just loved football. It was a shame what happened to him really as I can honestly say that he did genuinely love Stoke. He cried when he left - honestly, he was in tears." ​​In other news, ​Stoke City youngster Julien Ngoy has admitted that he may well join his current loan club Grasshopper Zurich next summer, as the club have an option to buy agreement in place. The 20-year-old refused to rule out remaining with the Swiss side, despite their current struggles in the Swiss Super League - where they sit just one point off the bottom spot.